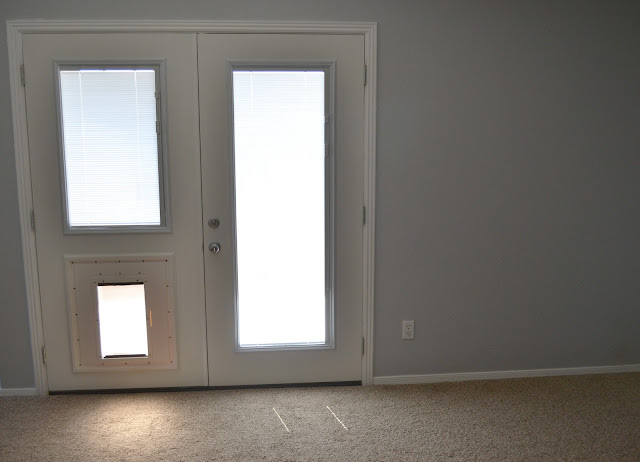 As you can see the door made a huge difference (and getting rid of that original orange paint color - woof). One thing I wasn't expecting was the never-ending mess that comes with a construction project. I knew that it would be dusty, but man-oh-man, my entire house was covered in drywall dust! The biggest problem I had was that this construction zone was right across from my kitchen. How was I supposed to cook in this mess? My other problem was that I had a crawling, exploring baby, and the floors were disgusting. I had to bring in some serious back-up so I headed to Target to pick up some supplies. 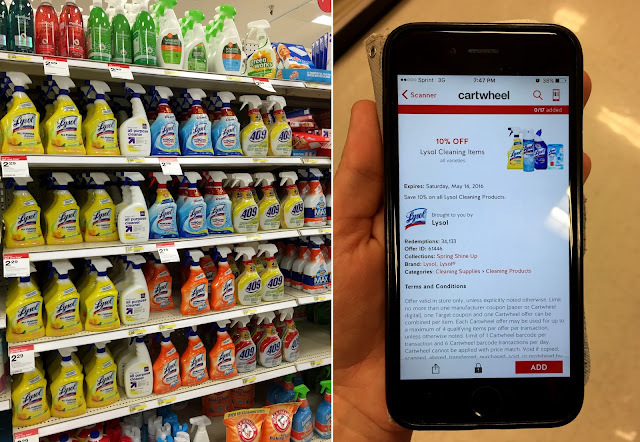 Side note: Have you downloaded the Cartwheel app yet? 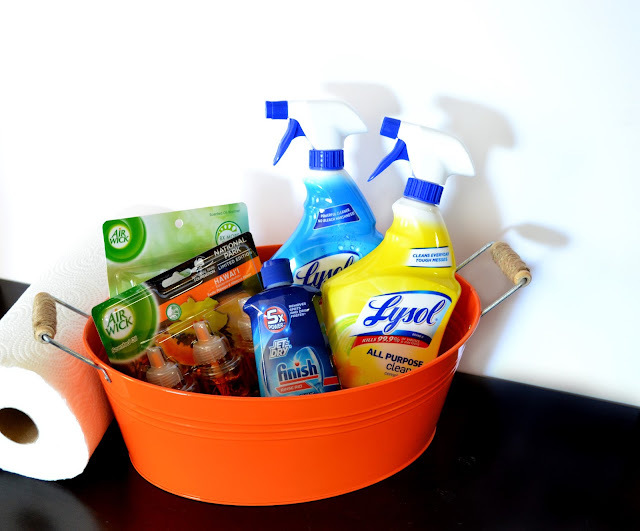 If you plan on stocking up on spring cleaning products, you need to download it asap. Either scan barcodes in-store, or search through the current offers. You can find 10% off all Lysol cleaning products, 5% off all Air Wick products, and 5% off all Finish products on the app. Also, Lysol products are buy three, get one free right now. (All offers running until 5/14). 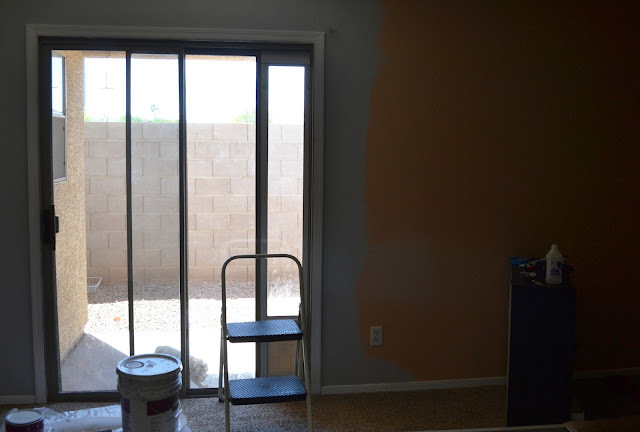 During the project, I had three main tasks I did each day to combat the dust and keep my kitchen somewhat usable. First, I would sweep and mop the tile so Taylor could crawl across a clean floor. Second, I would wipe all surfaces with Lysol All Purpose Cleaner. And third, I would do a load of dishes (and I would leave the clean dishes in the dishwasher since the dust seemed to make it's way inside my cabinets). Yes, things would instantly get dirty as soon as we resumed work, but at least it made it livable and Taylor could play for a small amount of time. As soon as that door was finished, I did some serious deep cleaning. It was a two day cleaning frenzy to get my house back in order. I picked up that metal tub from Target's dollar spot to put everything in. With all the great offers that you can find on the Cartwheel app, this is an inexpensive and easy, but thoughtful, gift. What do you give as a housewarming gift? Do you have any big DIY projects in your future? For more cleaning ideas, click here!